Some solid gains for U.S. equities puts the markets in full-on uptrend mode to start this week. 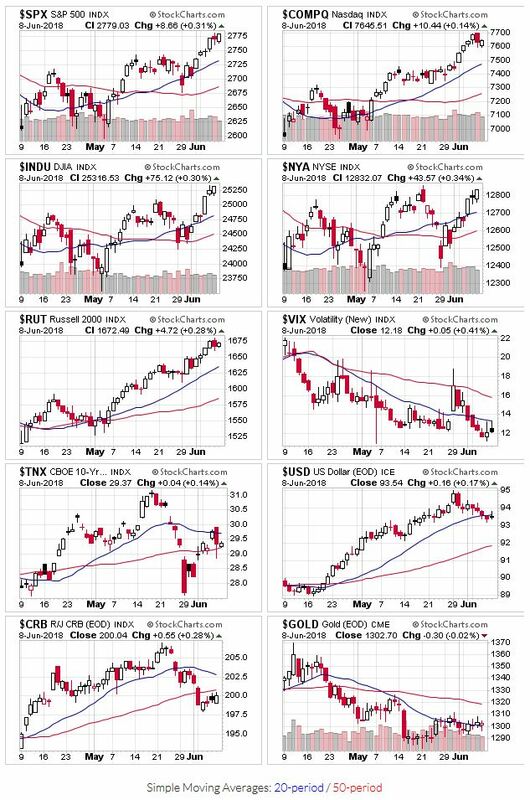 All the indexes are above their 20/50-day moving averages. We experienced some accumulation last week (higher volume up days). Now that we're entered June, I doubt we'll see an increase in overall trading volume until the summer is over. 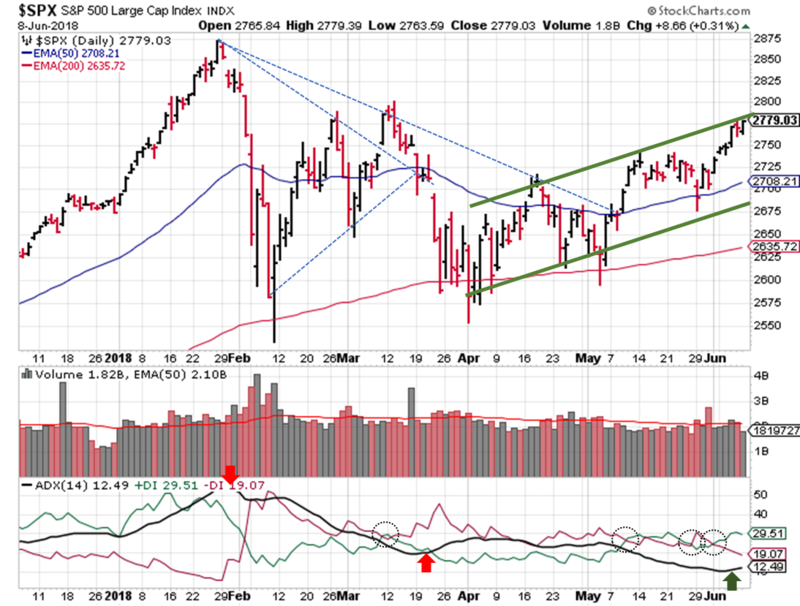 Combined with the lack of recent distribution, I feel confident moving this signal from mixed to uptrend this week. Tony's back at the controls this week, and as expected OEW remains in an uptrend. Now that those signals are out of the way, let's take a look at the ADX again. With the DI+ making a clear crossover of the DI-, the ADX inflection last week appears to be signaling a new entry point. Lets hope this is August 2017 and not May 2014, but plan and prepare for either. The daily chart also shows the beginnings of a new channel for the S&P500; we're still a few points away from the potential upper bound. Several recent break-outs in my growth stock watch list have reached profit taking zones (20% gains), which is a welcome site. Income stocks continue to be a victim of their own success, as their prices are just too high to justify an investment at this point.